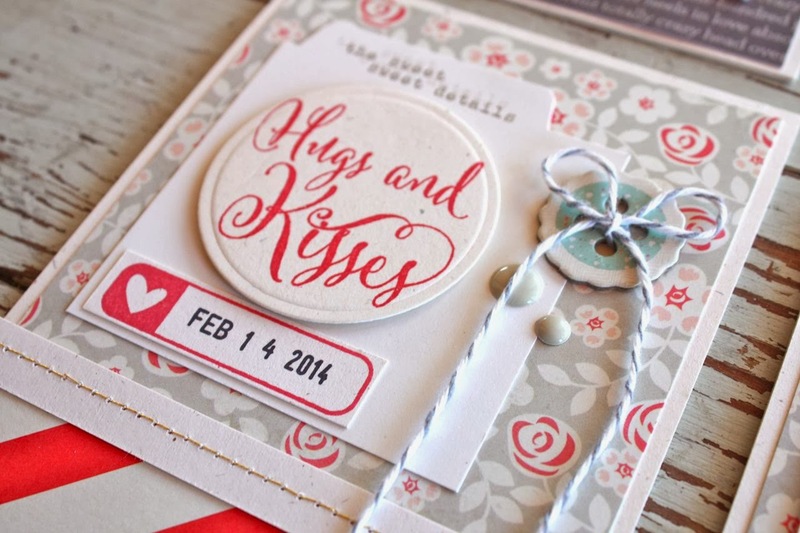 Today is the release day for the Gossamer Blue February products. 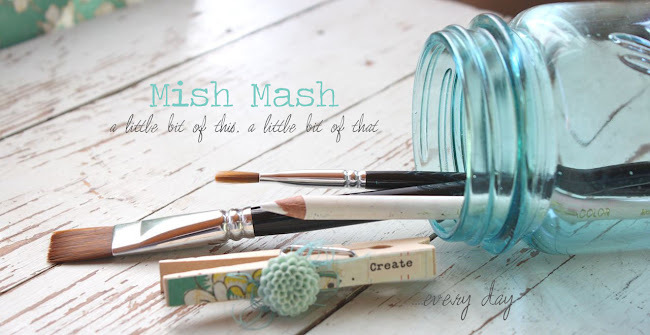 It looks like many of the kits are now sold out so I hope you snagged a few fun items. I'll be sharing my Project Life/Life Pages throughout the month using the new kits. I've also been having fun making Valentine Cards with the various kits. There's sooo many pretty papers and embellishments for card makers. I'm sharing a few of the Valentine cards I've made so far. 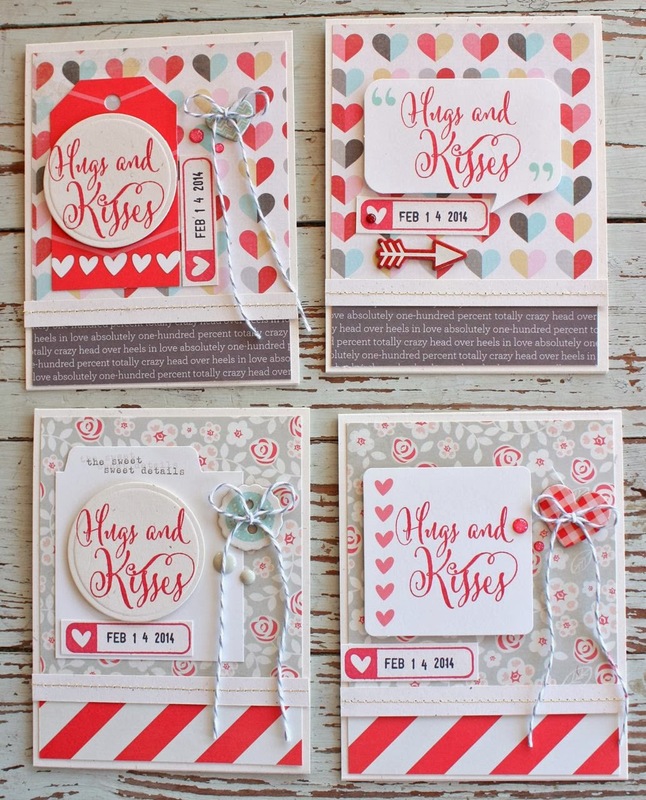 The four cards below use the Elle's Studio stamp set from the February Bits & Pieces Kit. 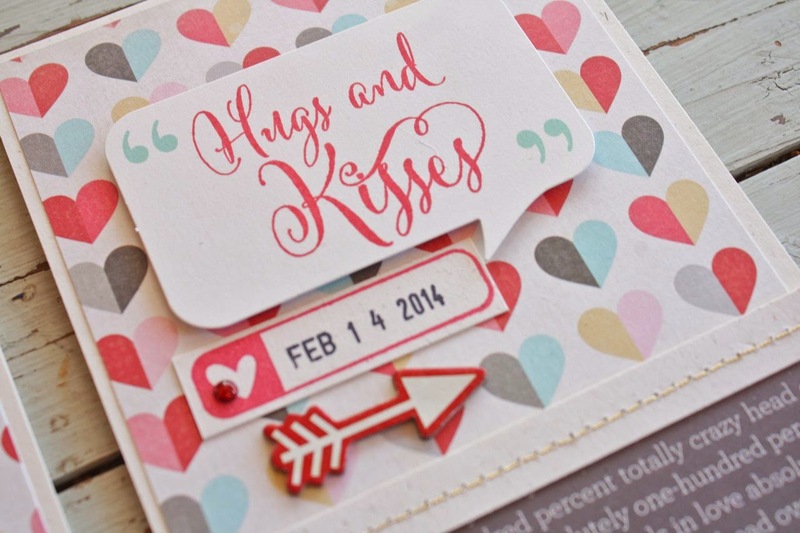 I love the scripty font and little heart label stamp that I used for my date stamp. For each of my cards, I used either a diecut from the various kits or a Spellbinder's circle die which also embosses. It's been a while since I've used those so it was fun to dig into my stash. 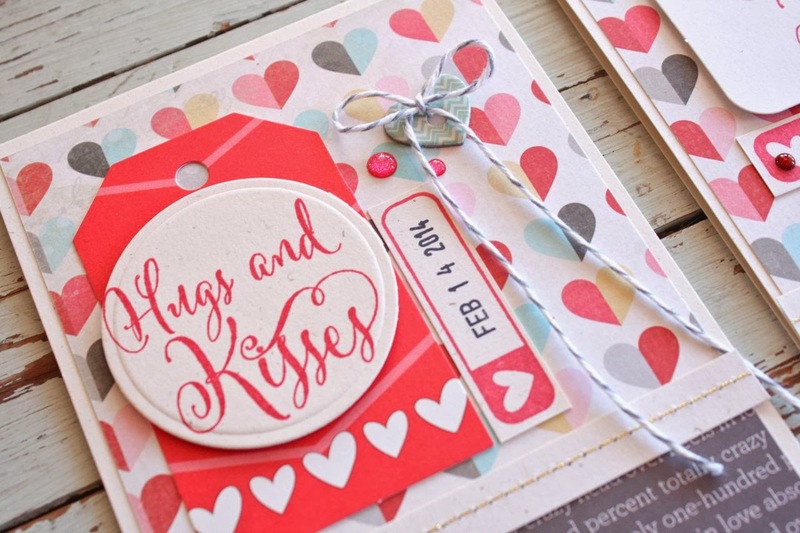 Each stamp has the date stamp using Elle's Studio label stamp and also a chipboard embellishment of some sort. I also used enamel dots from various kits + some gray twine from my stash. I'm still loving my gold stitching so I added some of that to a horizontal strip of cardstock on each of the cards. 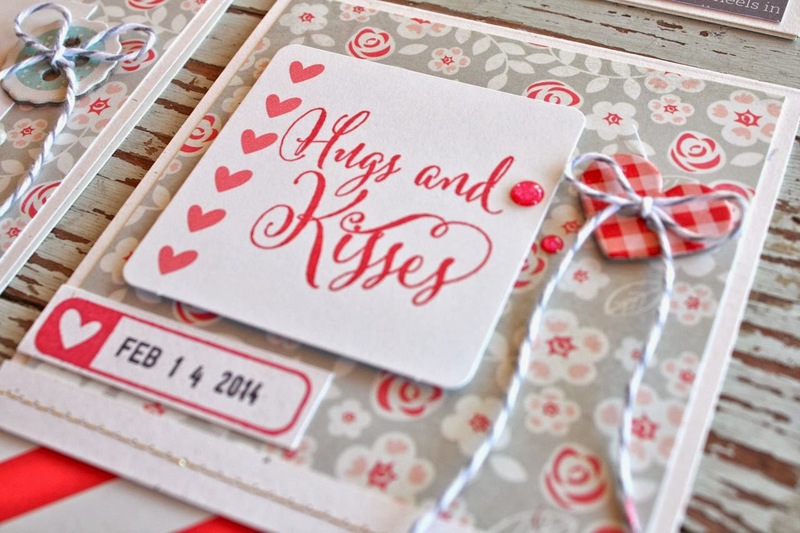 Oh, and that beautiful patterned paper...it's from February's Main Kit. Nothing is more fun than getting a handmade greeting card. I like the happiness to start right at the mailbox when the recipient sees stamping on the envelope. 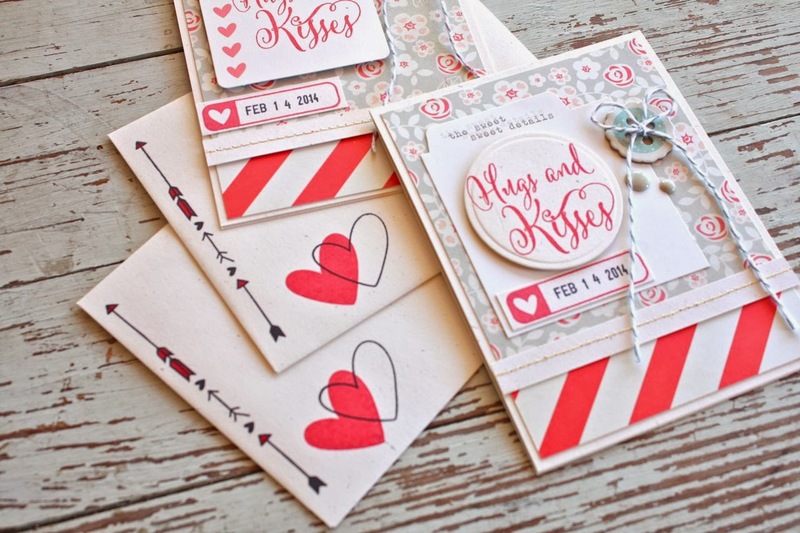 I used Elle's stamp set for the hearts and arrows + a red Copic marker to color in the arrows. So fun and happy, I just love to create Valentine's Day cards. Hope you enjoy! I love this cards!! Are different and original. 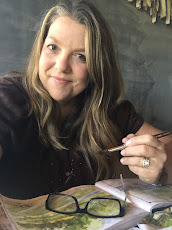 I enjoy so much your blog. Excelent job! !